Thurs, June 20: Noon to 10 p.m.
Fri, June 21: 10 a.m. to 10 p.m. 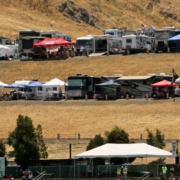 Sat, June 22: 9 a.m. to 10 p.m.
For more information or to reserve your campsite, please contact the Sonoma Raceway ticketing department. All pricing below includes tickets in the Upper Terraces of Turn 2, Turn 7, or Turn 9. Pricing may vary based on different seat selections. *All prices include 12% Sonoma County Transient Occupancy Tax. Located just across Highway 121, 50 Acres is the largest campground on property with over 1,000 camp spaces. This campground is known for letting the good times roll, and includes the benefits of a free shuttle to the Sonoma Square, movies under the stars and all the fun you can handle! Imagine being able to camp just a short walk to your seats! *Pricing includes 2 weekend passes. 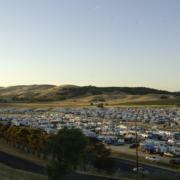 The Carousel Campground is Sonoma Raceway’s only infield camping experience. These 88 spaces enjoy views of the racing like none other on the property. *Pricing includes 4 weekend passes. Gear up for a truly Sonoma experience. 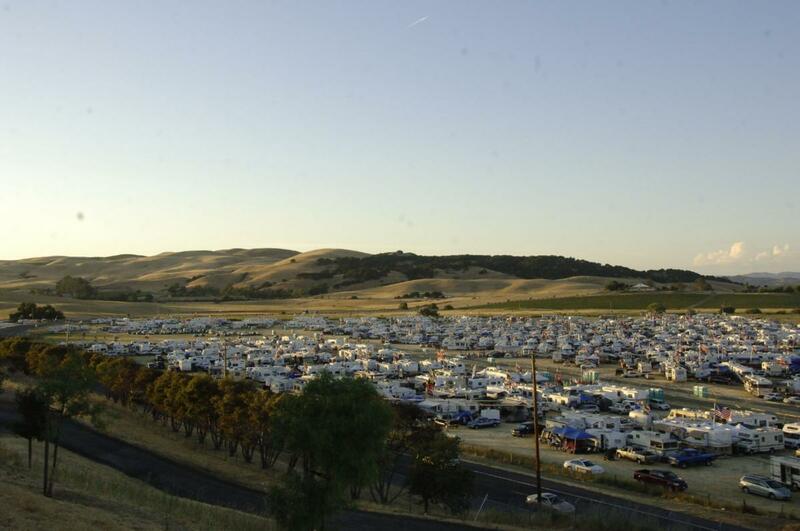 The Trackside RV Terraces offer just over 150 spaces in eight rows overlooking both the raceway and the rolling hills of Sonoma Valley. *Pricing includes 4 weekend passes. Back by popular demand, these 29 spaces are truly trackside! 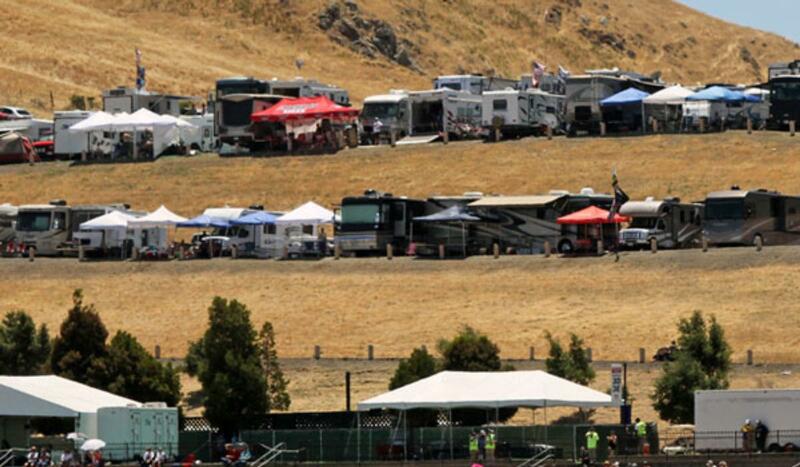 In fact, you can’t park an RV any closer to a NASCAR Cup Series race track than our Turn 8 Campground. Positioned at the top-end of the track, you will be on top of the action coming out of Turn 7 as the cars mash the pedal through the Esses. *Pricing includes 4 weekend passes. Want to rent an RV for the weekend?